I think I’ve developed a new obsession… for Japanese makeup brushes! Until recently, I used all sorts of brushes: with natural and synthetic hair, at all types of prices, without actually making any difference between them. And then, by listening to some of my favorite YouTubers (Lisa Eldridge, Stefanie Nicole, Karima McKimmie to name a few) talk about Japanese makeup brushes, I started to do some research to understand what the deal was with these brushes. And I discovered a real world of makeup brushes enthusiasts (it was actually pretty exciting)! 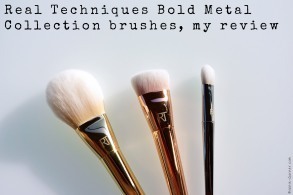 I have the feeling that when you start using these types of brushes, it’s quite difficult to go back to conventional makeup brushes… So I decided to invest (yes that’s the right word! But their price can be justified, I assure you) in a face brush to start with. 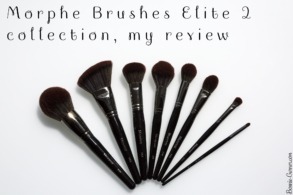 I wanted the star of Japanese brushes, the one that is acclaimed by all the Japanese makeup brushes worshipers (and even by a lot of beauty addicts in general! ), I name the famous Suqqu Cheek Brush. This brush is supposed to be the softest brush on Earth. 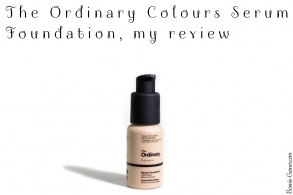 Many make-up artists (including Lisa Eldrige) swear by it and it’s very practical because it can be used with many different products. 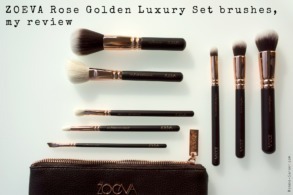 Unfortunately, it’s also very difficult to find, often out of stock and its price is quite prohibitive, especially for a first brush: depending on merchants, it retails for $130 to $150. 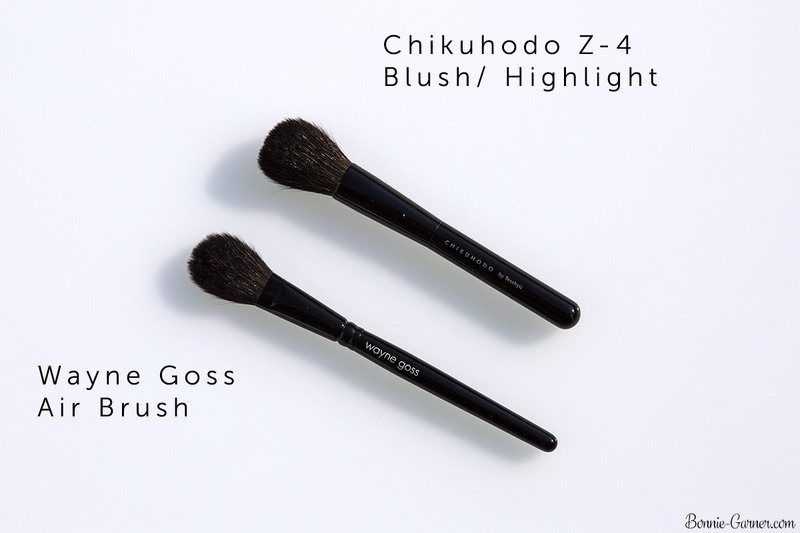 So I went on a hunt for an acceptable dupe, and when I was doing my research, two names were often coming back: Wayne Goss The Air-Brush and the Chikuhodo Z4 brush for blush/ highlight. As far as I understood, they are not exact dupes of the Suqqu brush, but they’re supposed to be quite similar regarding the softness of their (natural) hair, their excellent quality but also the fact that they’re multi-tasking. 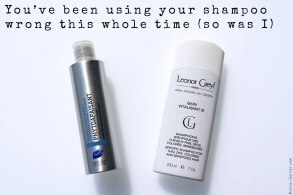 These are not necessarily cheaper alternatives, they’re still quite expensive (especially the Chikuhodo). But as I said above, the price of Japanese makeup brushes can be explained in several ways. 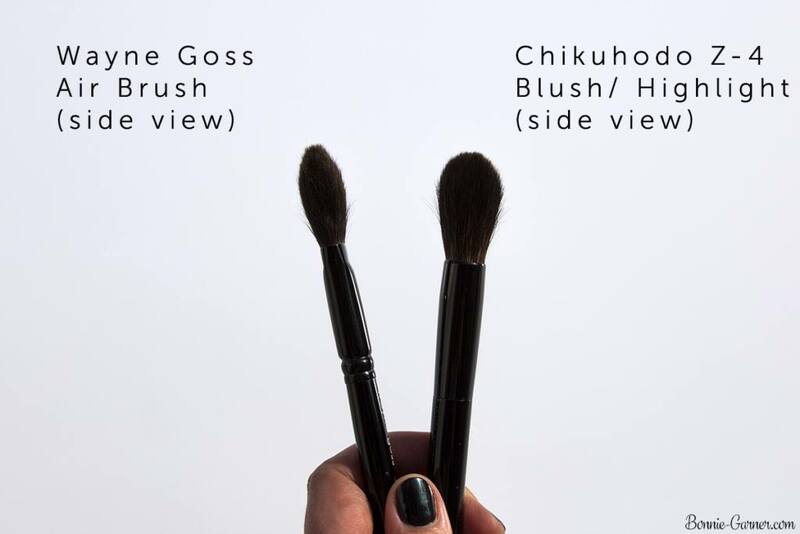 Japanese makeup brushes: what makes them so special? They aren’t mass-production brushes, as most of those found in professional makeup brands. They’re in fact man-made, by highly skilled experts. In this case, you can even refer to it as craftsmanship. Kumano owns 80% of the Japanese brushes production (those dedicated to drawing and those for cosmetic use): about a hundred specialized companies that manufacture in their name or for other brands. 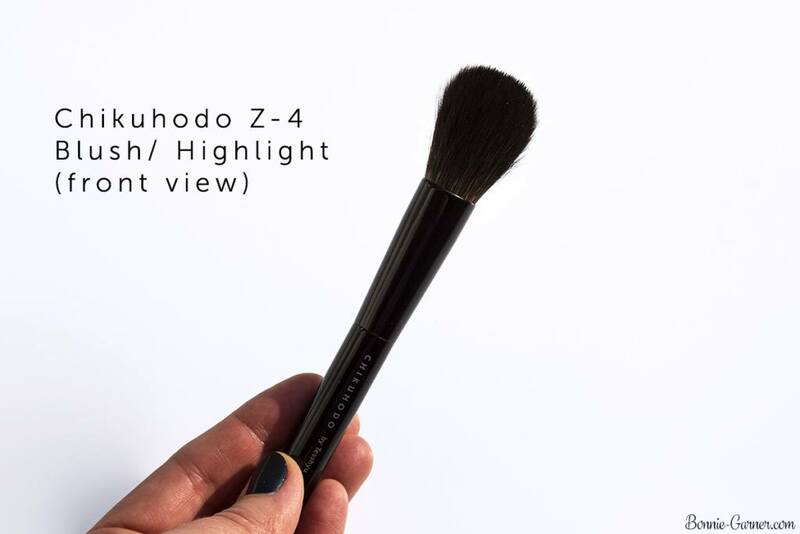 Some of them are very famous like Hakuhodo (which also manufactures the Wayne Goss brushes and the Tom Ford ones), Chikuhodo (which also manufactures Suqqu brushes), or Mizuho (the company shown in the video below). I’ll be honest, these are by far the softest brushes I own! And this softness doesn’t happen by accident. Many of the Japanese brushes are made with natural hair, and they are rigorously selected by Japanese brush makers. Indeed, Kumano craftsmen and women work according to a very specific technique to retain only the best hairs and to exclude those which don’t have the quality required to make good brushes (cross, curved, damaged hairs or which have lost their tip). The secret of these brushes’ softness lies in the hair’s tip. It’s the “used” part of the hair, which is thinner but also softer to the touch. For most other makeup brushes’ brands, the process of making brushes is very different. Usually, the manufacturers gather the hairs in a bouquet and then laser cut them to obtain a precise shape with same length bristles. But this technique doesn’t preserve the softest part of the hair, and the tip is lost. The Kumano craftsmen and women really focus on this hair tip, because it’s the Japanese makeup brushes treasure. Rather than laser cutting the hairs, they will use a special mold to give the shape they want to the brush. As you can imagine, this kind of process is obviously longer and requires very skilled workers. This explains why the production capacity is more modest and also the price difference with mass production makeup brushes manufactured. Japanese brushes use all kinds of hair: natural hair, of course, but also synthetic and sometimes a mixture of both. 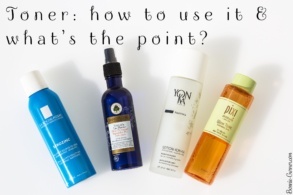 And for each type of hair you have a very specific use! 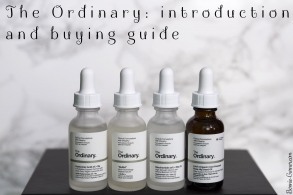 Indeed, for each type of application (face, eyes) and texture of products (liquid, cream, powder), you can select your brush according to your skin type (oily/ dry/ sensitive) and the result you want to achieve (natural or more dramatic). 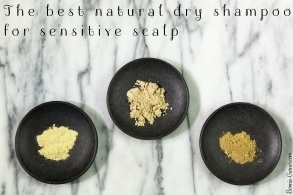 For a more technical explanation, the natural hairs don’t have a smooth surface, they have scales (think about the human hair scales you heard about all the time in the shampoo ads, it’s the same). And these scales are great to pick makeup pigments up. Obviously, depending on the animal species, each hair has a different structure and a different use. For example, dry and/ or sensitive skin will prefer squirrel hair brushes, for a super soft application and a more diffuse and natural result theses brushes are also perfect for very pigmented products). For oily skin, goat hair is the best. 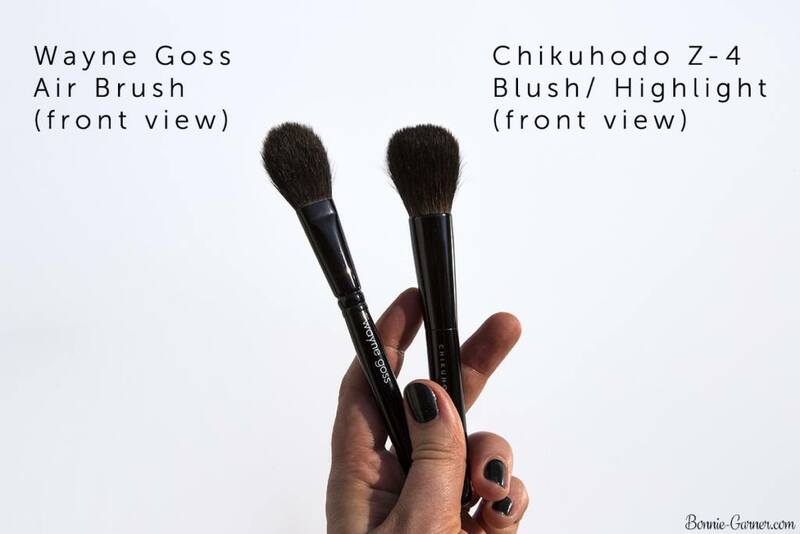 Many Japanese brands explain on their website which brushes to use according to your skin type, the desired effect and/ or the texture of the products used. For some brands, the hairs are not the only precious part in the brushes. Certain natural hair Japanese brushes are more expensive than conventional makeup brushes, but of course, it all depends on which brand you’re talking about! 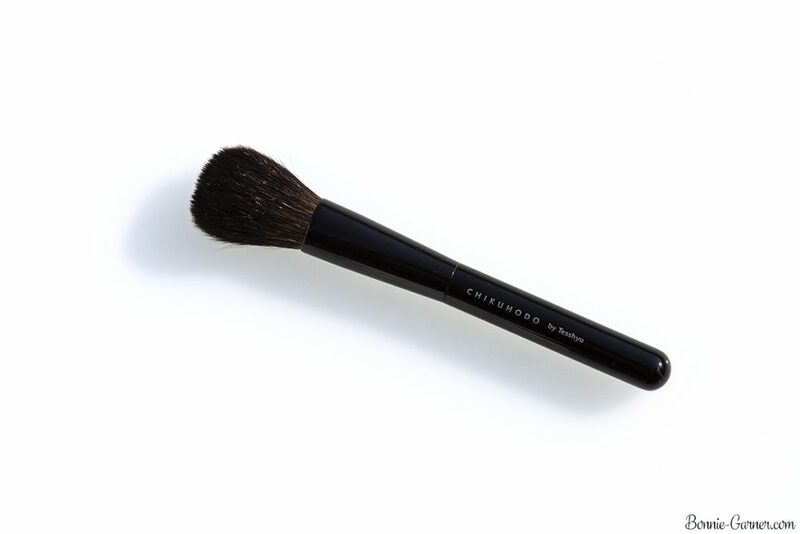 For example, the famous 217 MAC eyeshadow blending brush retails for $25. Its equivalent in the brand Hakuhodo (the J5523BkSL) retails for $19. And I think it’s safe to say that the quality of the Hakuhodo brush is probably far superior! Unless you live in Japan, there aren’t a lot of shops that sell these brushes in Europe or the US. In Dubai, to the best of my knowledge, there are none. In the UK, you can find some Japanese makeup brands in Selfridges, in London (they distribute Suqqu). But in general, if you want to buy Japanese brushes, you have to place an order online, and the large number of brushes present on these shops can be super overwhelming! – Karima from the blog Shameless Fripperies also made quite a few very useful posts on the topic. I speak mainly of natural hair, especially for those which are in delicate hairs like squirrel for example. They should not be washed with water too often, once a month max. 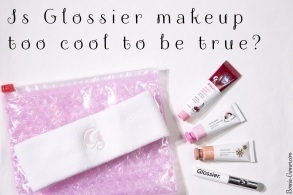 This could be excellent news (cleaning the makeup brushes is a core, isn’t it?) 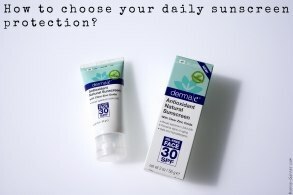 but with my skin type (acne prone oily skin), the hygiene of the brushes is a concern. Since they’re natural hairs, it is a lot easier for them to be exposed to bacterial contamination, than a synthetic bristle brush. Alcohol-based decontaminants should also be avoided because they can ultimately damage them. So I ordered a special soft spray that will allow me to disinfect them between two washes with water. When you wash them, you should also be careful not to leave them in the water for too long, and it’s better to use a soft product, like baby shampoo. The drying process is also important if you want to keep their original shape. Brush-guards are a must-have! 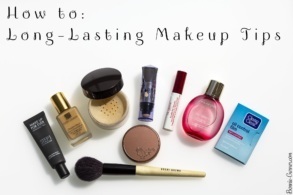 In short, a good wash can really make a big difference in the longevity of the brushes. They’re fragile tools that require a special maintenance, but if you take good care of them, they can last you for years and years! Touchy subject, I even want to say taboo. It was very complicated to collect information about it! Even if the animals are not killed specifically to use their hairs to make brushes with them, their hair did not fall off, all on it’s own, let’s face it. The story of the Chinese farmer who brushes the squirrels to recover their hairs is only a legend! I would like to believe it, but I have to face the truth. Most Japanese brush companies use hair from animals used in the European or Chinese food industry. These may also come from exterminated animals for health reasons (for example, in many countries squirrels are treated in the same way as rats). And finally, there are also animals used for the leather industry. The natural bristles of Japanese brushes are therefore a by-product of these industries. So even if no animal hasn’t been killed or harmed for the sole purpose of making makeup brushes, it’s hard to understand how some can qualify natural hair brushes as being cruelty-free, like Wayne Goss does… I guess it depends on the definition you have of the word cruelty-free. Wayne Goss is a renowned British makeup artist on YouTube. I’m not particularly fond of his reviews (often very short and a little bit too sponsored for my taste) but on the other hand, I really like his makeup techniques videos. They’re very informative and educational. 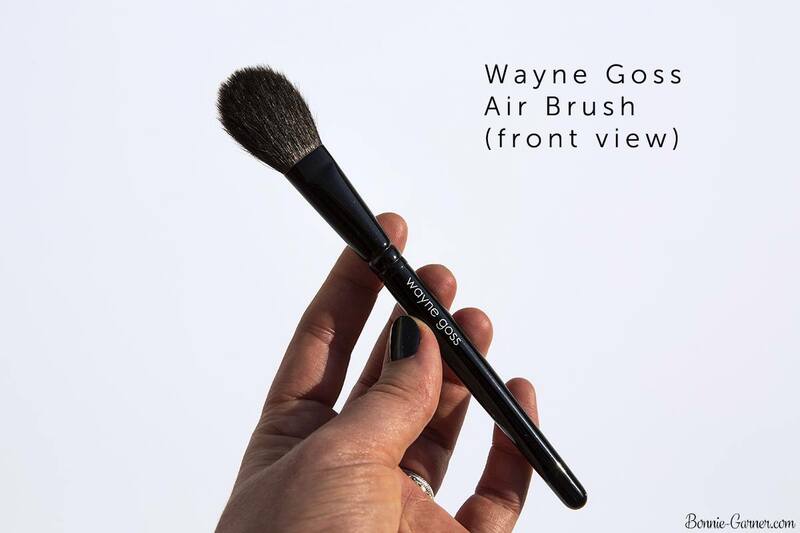 Wayne Goss created his brand of makeup brushes a few years ago. His brushes are made in Japan, in Kumano, by the famous brush company Hakuhodo. These brushes have the same quality as very good Japanese brushes, without their price. They are not cheap, of course, but they’re a little cheaper than regular Hakuhodo or Chikuhodo brushes, for example. The Air-Brush brush is supposed to be a super-soft multi-purpose brush. It is made of squirrel hair; these are the softest of natural hair. Squirrel hair is ideal for a very sensitive skin because they won’t irritate it and they are great to apply powdered products. It’s quite small, its shape is slightly tapered, and it’s a flat brush. 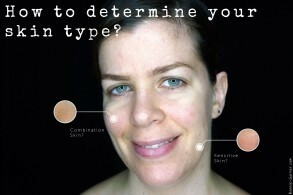 Personally, I use it to apply loose powder under my eyes to fix my concealer, but also to apply my highlighter. If I was doing contouring, it would also be perfect for that, especially if I wanted to get a very natural and diffuse effect. I tried it to apply powder on all my face, and it works perfectly, but it’s a bit long (it’s tiny lol). It’s also great for applying blush. In short, it can do everything!!! Wayne Goss demonstrates all the techniques that can be used with this brush, the famous “buffing technique” which he often talks about in his videos (I didn’t try because it’s a little bit too advanced for me lol). 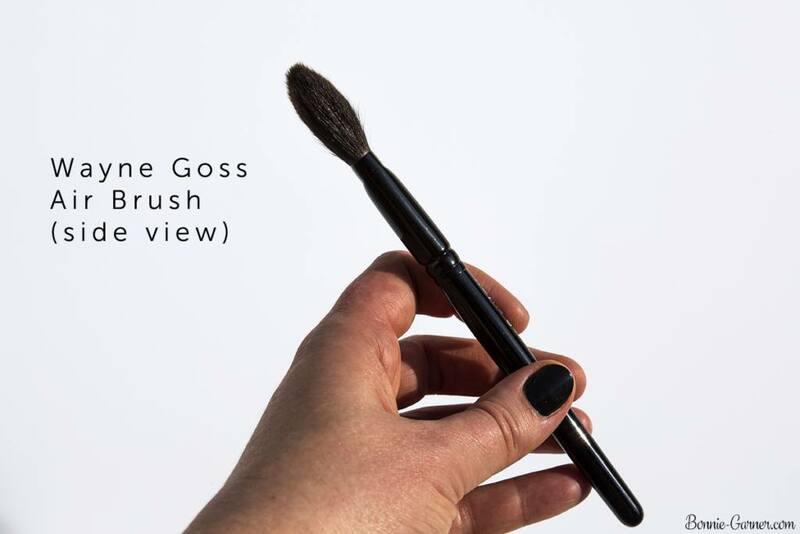 The main advantage of this brush is its incredible softness, but it’s also perfect to apply powders over other products without disturbing them, which is really what you want with a good powder brush. 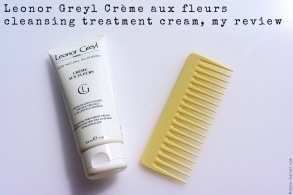 It also picks particularly well the pigments and the magic of the natural hair, it’s also very easy to clean between 2 products. Simply wipe it gently with a microfiber cloth or even a paper towel and the pigments come off very easily. It’s super convenient if you don’t want to use several brushes to do your makeup! 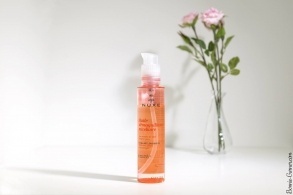 The Air-Brush is supposed to be a limited edition, but it comes back regularly on Beautylish. At the moment, it’s out of stock, but you can register on the website to be notified when it returns. 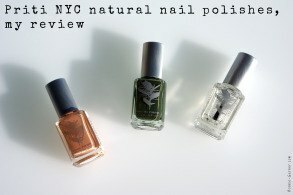 It retails for $35, which is much cheaper than its equivalents at Hakuhodo or Chikuhodo to name the best-known brands. Chikuhodo is a renowned Japanese brush manufacturer from Kumano. They manufacture brushes in their name but also for other brands (among the most well known: Suqqu and RMK). The Z range is the most renowned of the brand. All brushes in this range are in squirrel hair. The Z4 has a round, flat shape, and it’s fluffier than the Wayne Goss one. The Z4 is mainly intended for powders application, especially blushes, and highlighters. 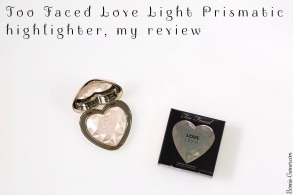 It also works great with loose or pressed powder face and bronzers. I love it to apply my powder all over the face (even if it’s a little small) but especially, I love it to apply blush! 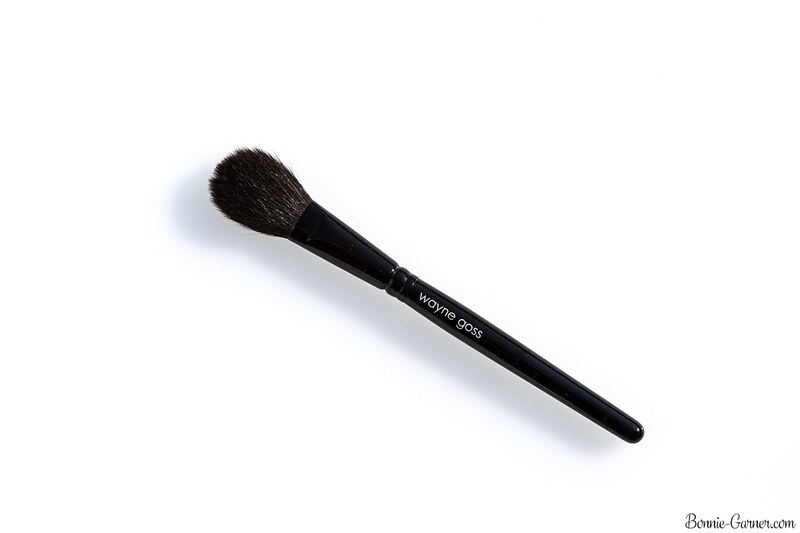 Even a dark and super pigmented blush will apply and blend perfectly with this brush. It’s awesome! It’s funny because it’s quite small and until very recently I thought I’d prefer bigger brushes… But that was before Chikuhodo lol! 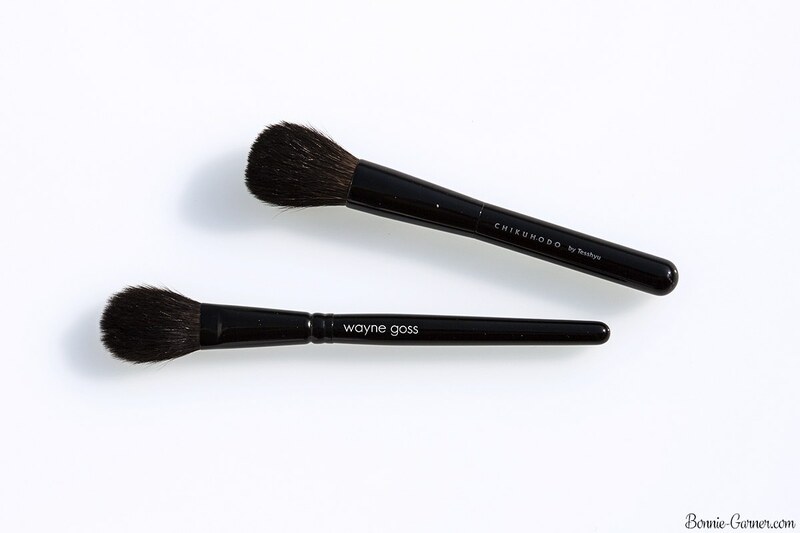 Like Wayne Goss’ brush, it picks pigments perfectly from powders, and it’s easy to clean between two applications of products. 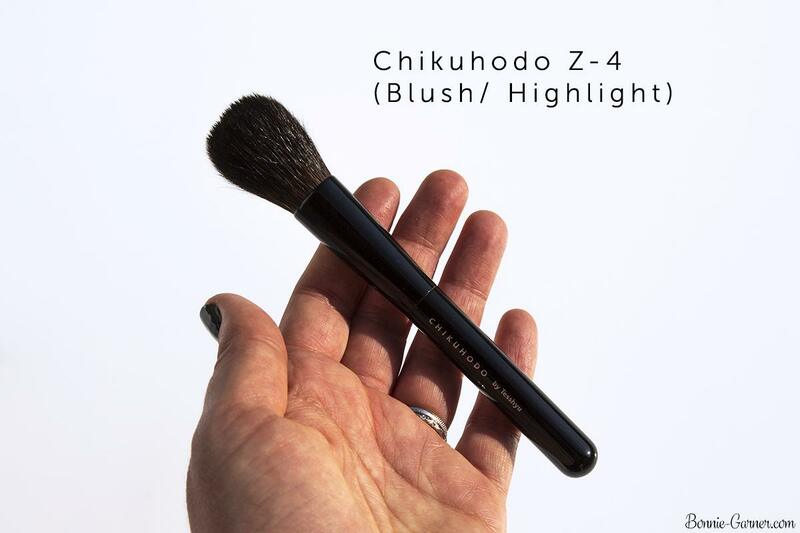 The Chikuhodo’s Z4 brush is available on the Beautylish website for $73. – Is Wayne Goss The Air-Brush a dupe for the Chikuhodo Z4? 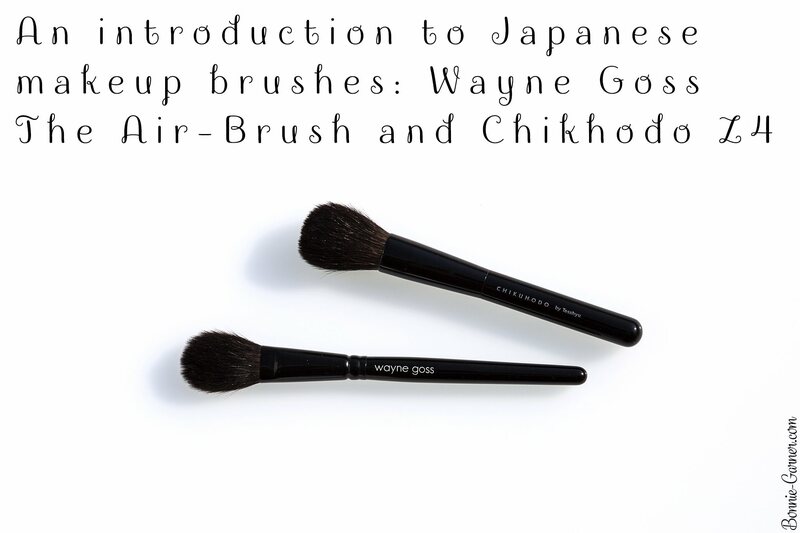 Wayne Goss’s The Air-Brush brush is often cited as a dupe for the Chikuhodo’s Z4 brush (and also for the Suqqu’s famous Cheek Brush) (which I don’t have) (yet lol). Personally, I find them quite different. They are both with squirrel hairs and super soft; they apply very well the most pigmented powders products that they blend perfectly. But their shape is not exactly the same, even though they are both small brushes. 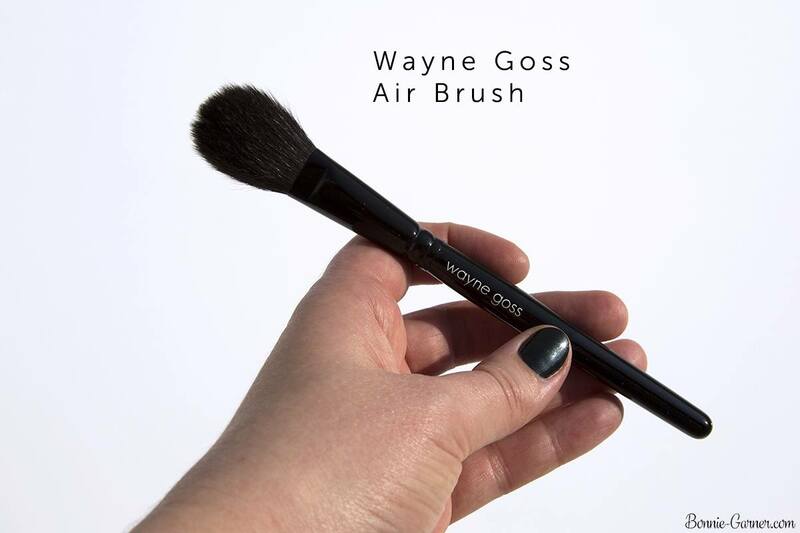 The Wayne Goss brush is more precise, flatter and has less hair. 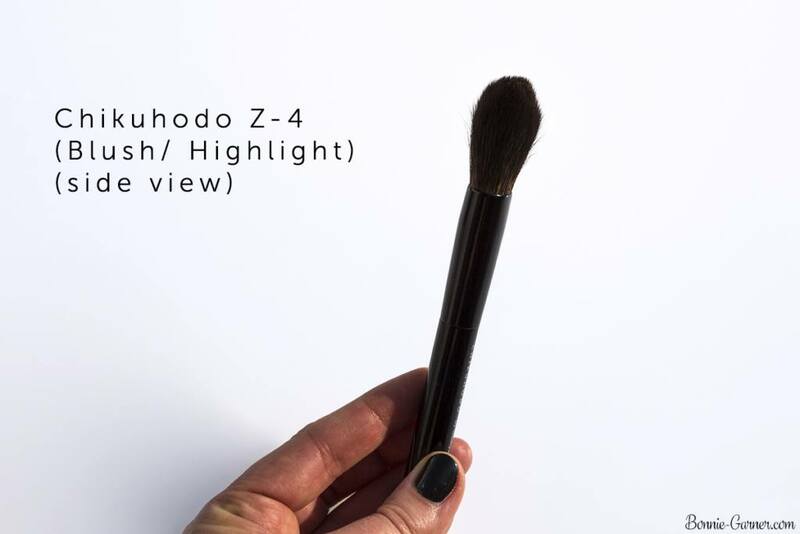 The Chikuhodo Z4 is fluffier, a little denser and its shape is rounder. As I explained above, although technically these are both two multi-task brushes, I use them to apply different products. The fact of not being able to wash my brushes once a week is an issue, I have to say… So, although I want to use my 2 Japanese brushes all the time, (they are great with so many different products, the dream blushes! ), I alternate with my other conventional brushes to avoid cleaning them too often.